"Instead of having to clean our George Forman grill, the BBQ or the electric frypan I place a layer of Homebrand baking paper on the heated surfaces (George will need a layer for top and bottom) and cook the food. Once cooked I throw away the soiled paper and wipe over the grill surfaces with a damp cloth. Easy! 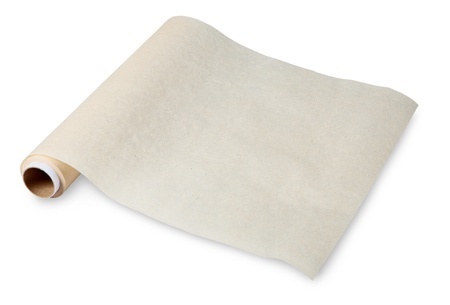 Aldi sells a wide baking paper roll which fits better the BBQ and frypan. " I'll admit to doing the same thing, especially with the barbecues in parks when we are travelling. These days though we have re-usable liners I bought for $4 (two in pack) from Aldi and I love them. I even have one in the bottom of the oven in case of spills! These liners and a roll of baking paper are always in our camping box because they can be used on barbecues, grills, fry pans and even in camp ovens. I line our camp oven with baking paper when I'm doing a roast or a fruit crumble over the campfire, it makes cleaning up so much easier (especially when water is scarce). Lining baking dishes with baking paper when you're cooking a roast makes clean up so much easier too. I just put the paper in the baking dish then sit the roasting rack on top, pop the chicken or beef in and when it's done, lift the paper out for an easy clean baking dish. The reusable liners have come down in price since they were first introduced and you'll find them in the kitchenware department of most department stores, you'll certainly find them at kitchenware shops, but keep an eye open for them when Aldi have their barbecue accessories on sale (towards spring) or at hardware and barbecue stores towards the end of summer when barbecues and barbecue accessories are on clearance before winter.